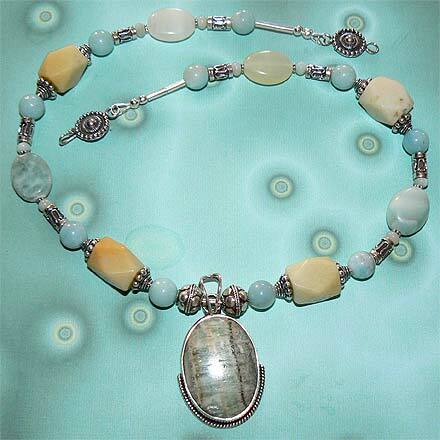 Sterling Silver Amazonite Necklace. See Closeup. Great colors for those who love pastels. 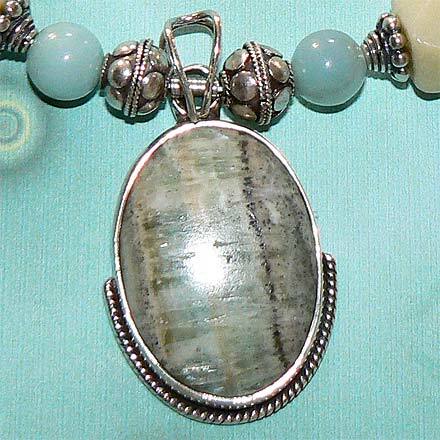 Amazonite comes in an amazing variety of greens, off-greens and even pinks. The aqua and light yellow beads give a very 50s feel to the color scheme of this jewelry set. 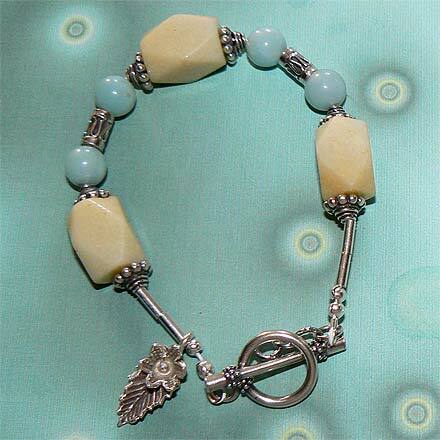 For those who are interested in Astrological significances of stones, Amazonite corresponds with Virgo.